We've turned some fantastic figs into a beautifully sweet chutney that's quite the stunner. The sweetness and the texture of the figs is brilliantly balanced by the tart balsamic vinegar. Try it with cheese, cold meats, or in a goat's cheese and walnut salad. Kitchen Garden chutneys was started by Barbara Moinet in 1989 from her kitchen (it's all in the name...) in the Cotswold hills. 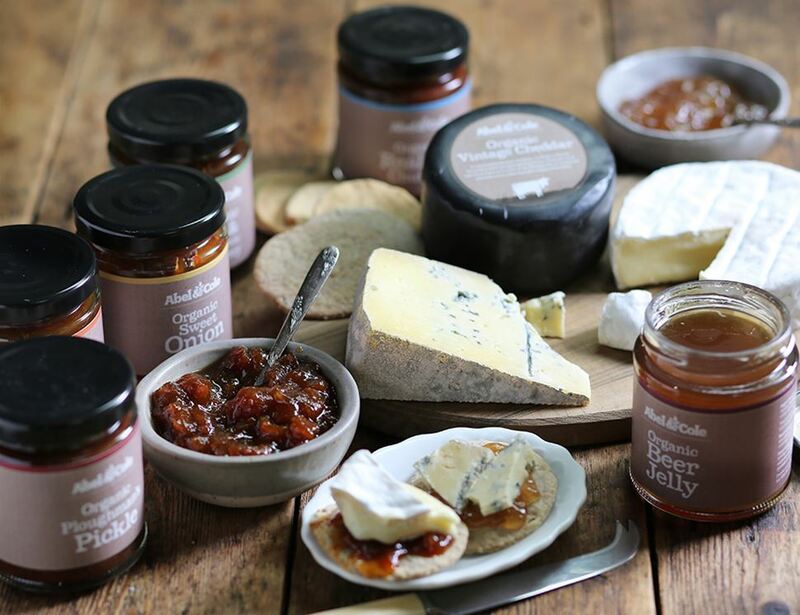 They stick to good old fashioned chutney making methods, whilst introducing some fun and super tasty contemporary ingredients. Cane Sugar*, Chopped Dried Figs* (31), Plums*, Apple Puree*, Balsamic Vinegar* (8%), Lemon Juice*, Cider Vinegar*. * produced to organic standards. For allergens, including cereals containing gluten, see ingredients in bold. Produced in a factory that also handles mustard, gluten, milk, soya, peanuts, nuts and egg. Store in a cool, dry place. Refrigerate and use within 6 weeks of opening.